She and her husband John Corvinus were by birth one of the most esteemed wedded couples who lived in Croatia after the extinction of the country’s native kings. Beatrice de Frangepan (Croatian: Beatrica Frankopan) died on this day in 1510 as the richest woman in Croatia. She was of a very distinguished birth, being the daughter of Prince Bernardin Frankopan, but attained most of her wealth through her marriage to John Corvinus, son of the well-known and powerful King Matthias Corvinus from the Hunyadi dynasty. Duke John Corvinus was a candidate for the Hungarian-Croatian throne and also the wealthiest secular noble in Croatia and Slavonia (he received vast estates from his father the king). 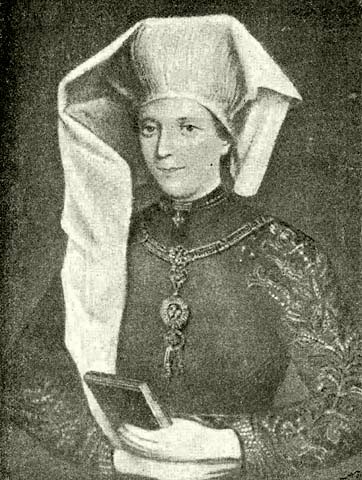 Beatrice de Frangepan had an unusually interesting heritage. Her mother was Luisa Marzano d’Aragona, a member of the royal dynasty of Aragon, Castile and Leon. One branch of her family was descended from the Italian Este family, one of the most powerful dynasties in Italian history. Therefore, Beatrice had some royal blood and her husband was the king’s illegitimate son, making them one of the most esteemed wedded couples who lived in Croatia after the extinction of the country’s native kings. When John died Beatrice was left with vast landholdings in Hungary and Croatia. When Beatrice married again in 1509, all of these were transferred to her new husband Prince George of Brandenburg-Ansbach, the king’s nephew. She died the very next year, aged only 30, and her husband sold off most of her former estates.